We specialise in the finance sector where trust, reputations and relationships are key to being competitive. We have worked with large and small organisations many of whom needed to forge stronger relationships and be clearer in their communication. We have a deep understanding of what makes people tick and communication stick. This combined with an appreciation of the complexity of the finance sector (the insurance industry in particular) is a rare mix. Delegates will always be contacted in advance of the workshop to understand their challenges in order that these can these can be incorporated in the session to make it as relevant as possible. It is deeply important to us that you’re able to put into practice what you’ve learnt the next day. Theory is kept to a minimum. This is to keep concentration levels high. And means that the business doesn’t lose a whole day out of the office. Around 90% of all Motem’s business is by referral. Motem is built on the belief that the presence of empathy in our relationships means stronger connections, clearer communication and more productive teams. Empathy is recognising emotions in others and being able to “put yourself in another person’s shoes” to understand their perspective and reality. It is about seeking first to understand then to be understood. This is not at the expense of hard-nosed business acumen. It’s simply that we find (and research shows*) businesses in the finance sector are well versed in this area and less so in the softer people skills, which are equally important. Motem also recognises that human beings are a combination of four main personality styles. To be an effective connector, communicator and influencer, we need to recognise and understand the dominant styles and then adapt our communication accordingly. Melissa has a wealth of experience in the financial services sector – built up largely through working with the Chartered Insurance Institute since 2012. As well as working with accountancy and pension firms, Melissa has spoken at a number of HSBC conferences on the subject of successful networking. Prior to specialising in the finance sector, she’s worked for large corporations such as Coca Cola and the Royal Mail, institutions such Bristol and Bath University – where she taught PhD students how to articulate the value of their complex research to the business community. Her background in marketing, PR and communications means she is also at home within the media sector and has worked for agencies like Mason Zimbler, PamLloyd PR, Team Rubber and Bristol Media. Melissa is an ideas collector, insight hunter and a careful connector. Her LinkedIn profile is here. Melissa also works with a range of associates to ensure that the material is robust and at the forefront of new thinking and research. 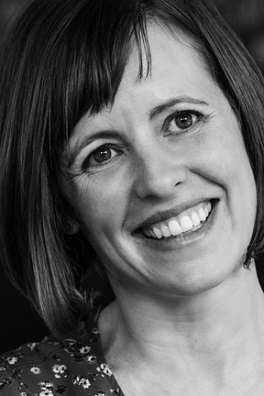 Melissa started out in the freelance world as a copywriter who suffered with eczema. Endlessly searching for cure, she’d tried pretty much everything from restrictive diets, homeopathy, Chinese medicine. The works. Then one day a friend suggested she tried neuro linguistic programming – she was both curious and alarmed. Could her brain really be “re-programmed”? It sounded a bit sci-fi. With nothing to lose, she investigated, and quickly enrolled in John Seymour’s practitioner and then the masters practitioner programme. The course led to Melissa recognising that we are in charge of our thoughts, they’re not in charge of us – and this had a dramatic effect on the eczema. It was so powerful that she wanted to help other people with similar issues – namely how their thinking was also getting in their way. So she decided to train as a coach with Coaching Development and then, prior to the recession, set up a business called Coaching Creatives in 2007. With a limited marketing budget, Melissa realised that she needed to go out and network to raise her profile, build relationships and spot opportunities. Trouble was, she was a reluctant networker and hated going into rooms of people she’d never met, didn’t know how to talk about coaching without boring people and was finding it tough to develop new business. Nevertheless, she recognised lots of other people also found networking challenging. And she was also realising the importance of being able to articulate what you do in a way that’s interesting and memorable. After, all we are constantly being asked, “What do you do?” and how we answer this question has a direct impact on how successful we are when developing new business relationships. Having spent about six months attending a whole range of events, she was fed up of returning home from disastrous events with fistfuls of business cards and not really remembering who she’d met or why she might need them. And she began to question the point of it all. But she knew she couldn’t just stop networking so she decided she’d change the way she thought about it. Voraciously reading lots of books, attending skills courses and joining lots of business networking groups, she scrambled up the steep learning curve. Melissa started studying those who she remembered to find out what they were doing differently from those that were easily forgotten. And as a result has developed 7 principles which we can apply to our conversations to help make us more memorable. This work caught the attention of the finance, high tech and creative industry and Melissa has travelled up and down the country sharing her findings – with HSBC, the Chartered Insurance Institute and a host of advertising agencies. Building on this work, Melissa became aware of the 4 main personality styles and how adapting our communication can mean we get more done and have more fun doing it. She’s always been interested in how some people just click and some people don’t – and this understanding helped a great deal. Her subsequent courses on making clients, people and stakeholders feel like stars and influencing without authority have been based on this work. Nicole designs and delivers innovative, award winning training to help people become more effective and powerful at work. Ten years ago, Nicole struggled with conflict. And this spurred her on to understand what makes people tick, how we can better relate to each other and how we can better manage stress. The skills and insights she learnt transformed both her professional and personal life, enabling her to capitalise on her strengths and have better professional relationships. 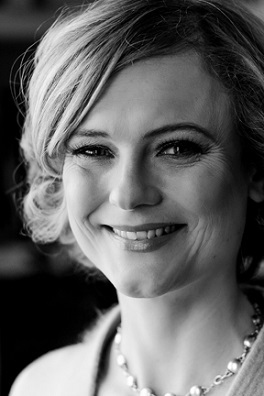 Nicole knew that the business psychology, emotional intelligence and stress management techniques that she had learnt could also help others to improve their working lives. As a result, she developed a new style of training course that enables people to work on their real life problems, challenges and opportunities during the workshop, applying new techniques to gain new insights into their business and identify practical actions and strategies to enable them to be more effective at work.